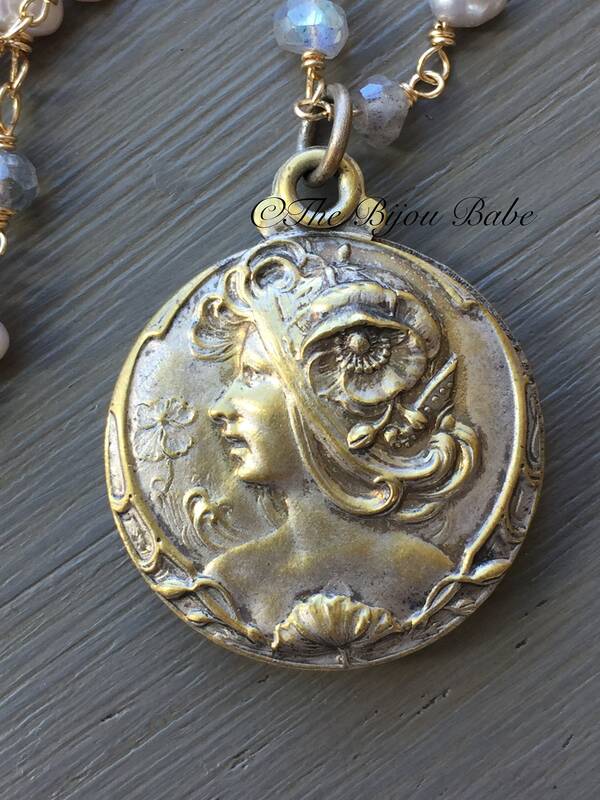 A beautiful Art Nouveau slide locket featuring the profile of a beautiful woman with a flower in her hair is the wonderful focal point of this gemstone necklace. With the most wonderful patina of both silver and gold tones, the face of the locket swings open to the side to reveal a glass panel waiting for your own personal touch! 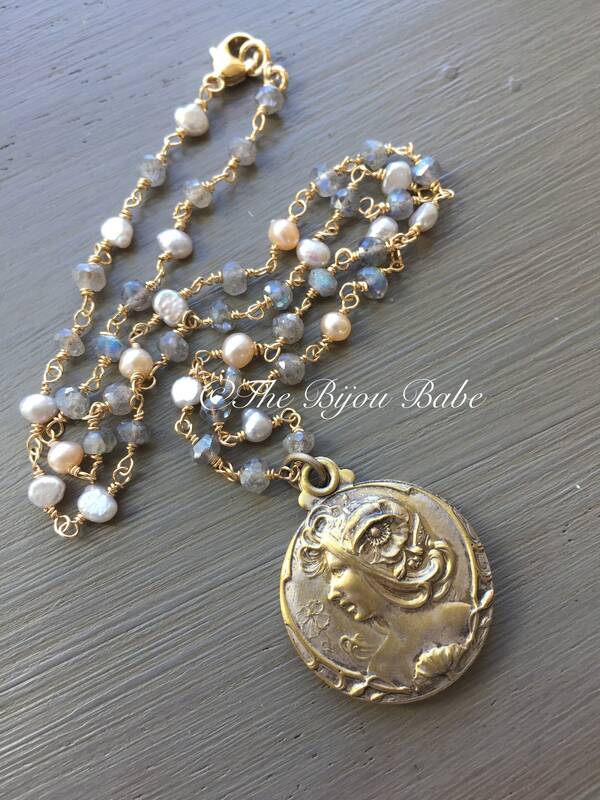 An old photo of a young boy was once inside, but he now joins my collection of old photos in my studio, and the new owner of this piece can now add their own special loved one to the locket to create their own heirloom. 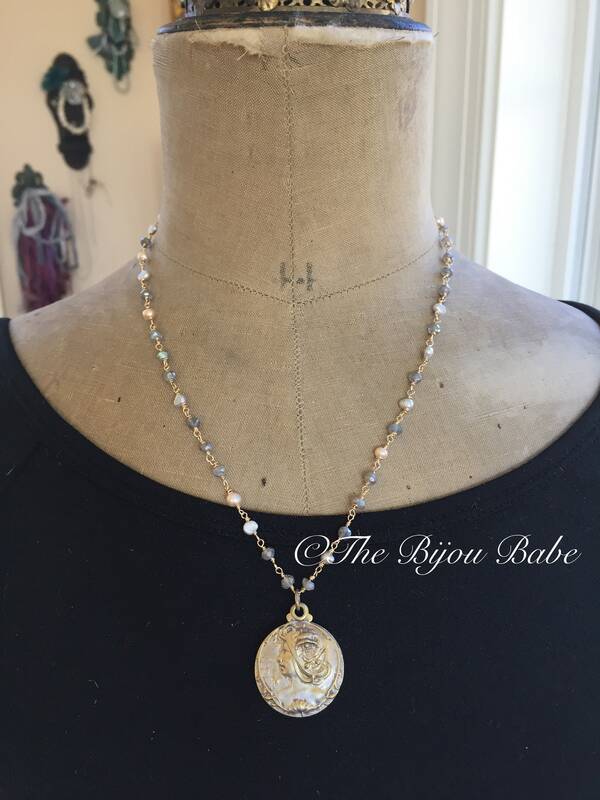 Suspended from a hand fabricated, wire wrapped gemstone and pearl chain, using labradorite, silvery pearls and blush colored pearls, this is a soft neutral necklace that can easily mix and match with a variety of colors in one's wardrobe. ~ All wire is 14k gold filled. 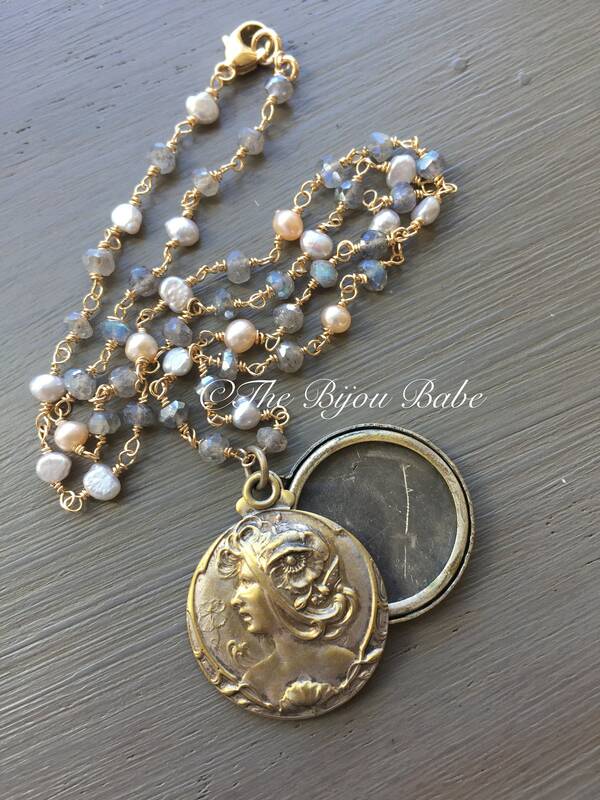 Your "Maiden" slide locket will ship USPS Priority Mail with tracking in the US, and will be packaged in a signature 'The Bijou Babe' gift box.